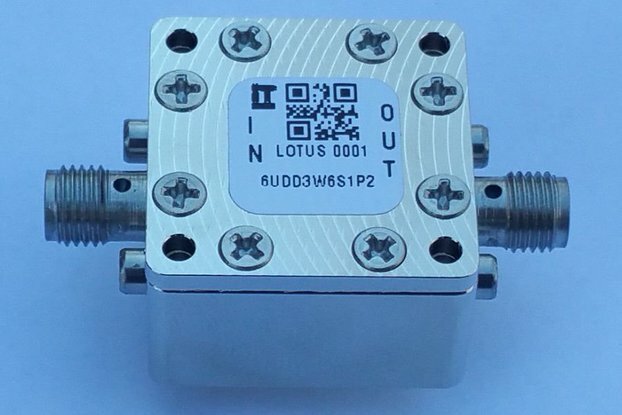 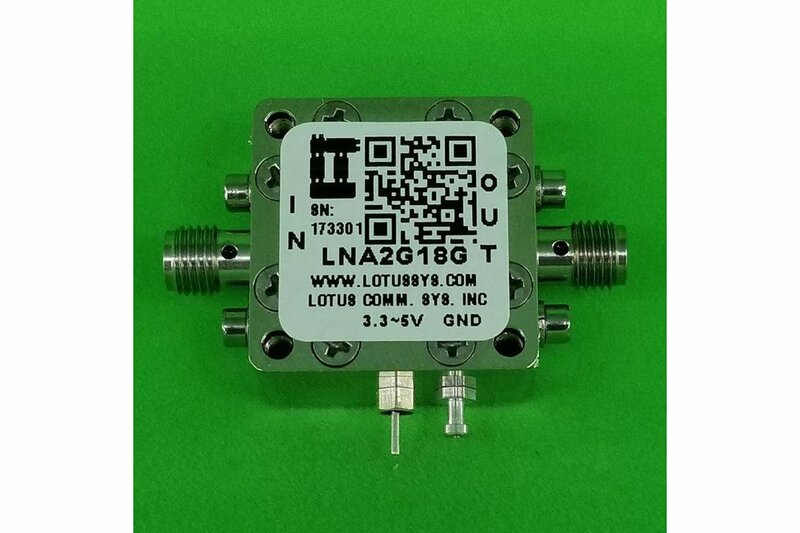 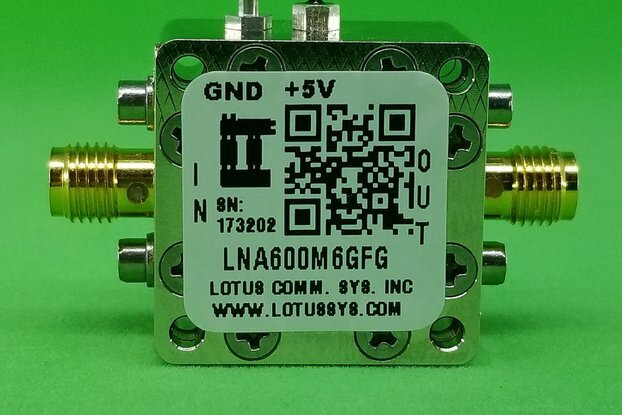 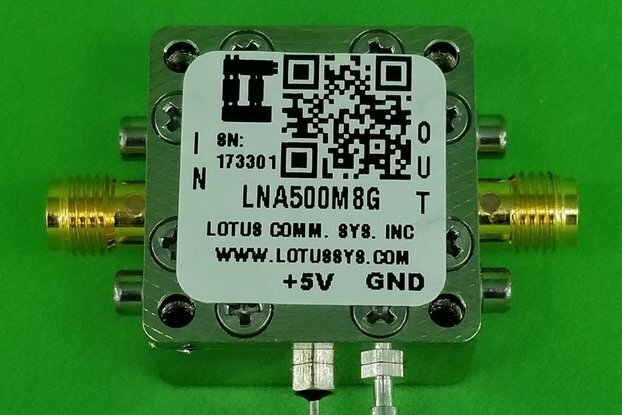 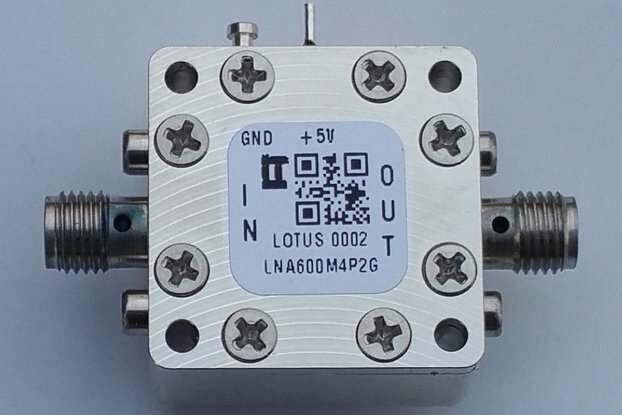 LNA2G18G is a broadband, low noise amplifier with 19 dB typical gain from 2 to 18 GHz in a small 15/16”x15/16”x0.59” shielded RF enclosure (PN: 6UDD2W6S1A2). 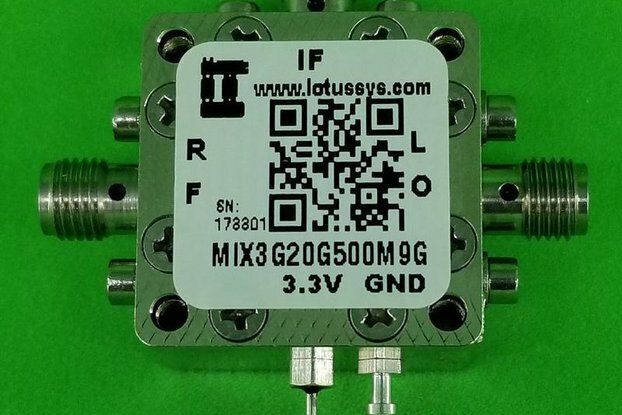 Third order linearity (OIP3) is typically 23 dBm and reverse isolation is >35 dB. 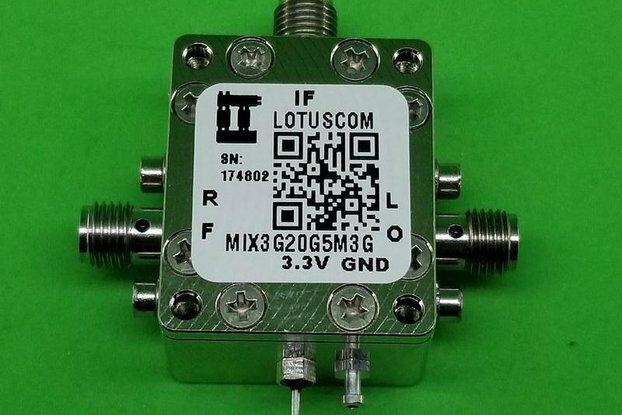 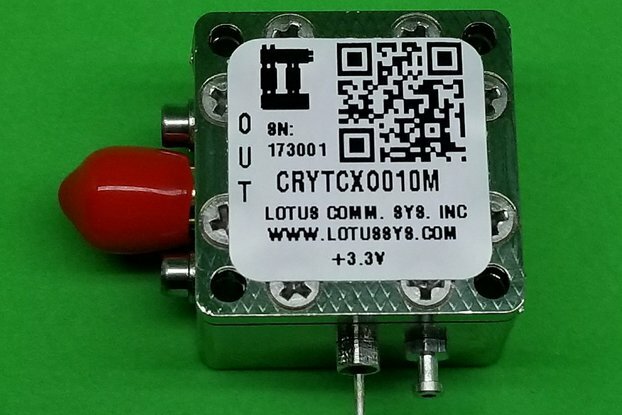 Listed pictures include Product Picture and S Parameter from 2 to 18GHz. 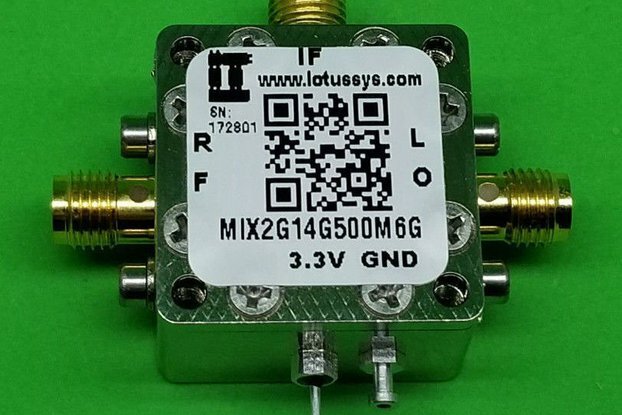 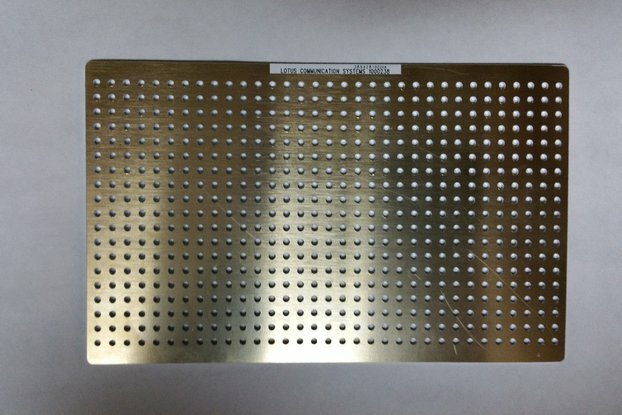 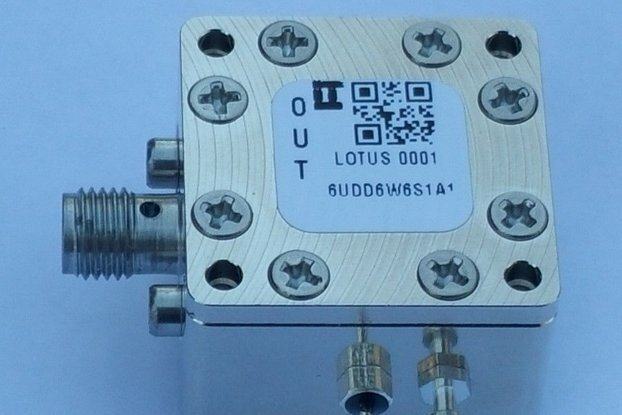 This LNA includes the RF Enclosure as shown in picture. 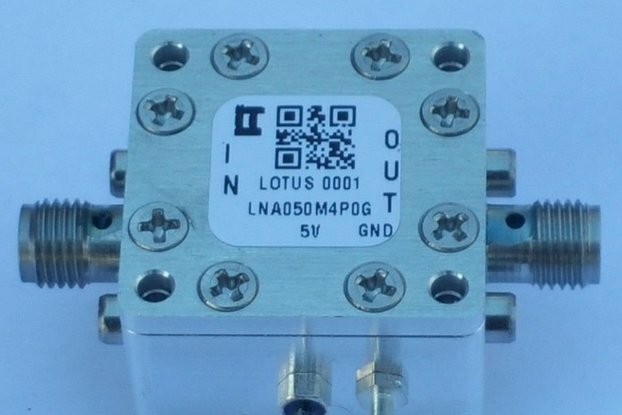 Click here to see a detailed specification.